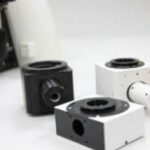 Intergration is a key feature used to ensure that important design issues have been considered and fully thought out before tooling up for production. At EINST, we help you to create your instrument. Whether you are a large, established organisation or a start-up, we have solutions tailored to your needs. We understand your needs are unique and that is why we take time to get to know you and immerse ourselves in your business. So whether you are a start-up in need of a proof of concept, an SME looking to save costs by optimising a design, or a large organisation launching a new product range, our experienced design team are on hand and ready to help you. 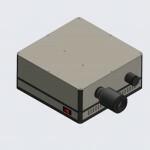 A 4f Fourier adaptor to existing microscope camera port to allow easy viewing of sample’s Image and Fourier plane.